As a genre, the rogue-like is one of gaming’s most intimidating. For years, I’ve associated the genre with punishing difficulty, convoluted mechanics, and endless dungeon crawling, the domain of gamers with more patience than me. 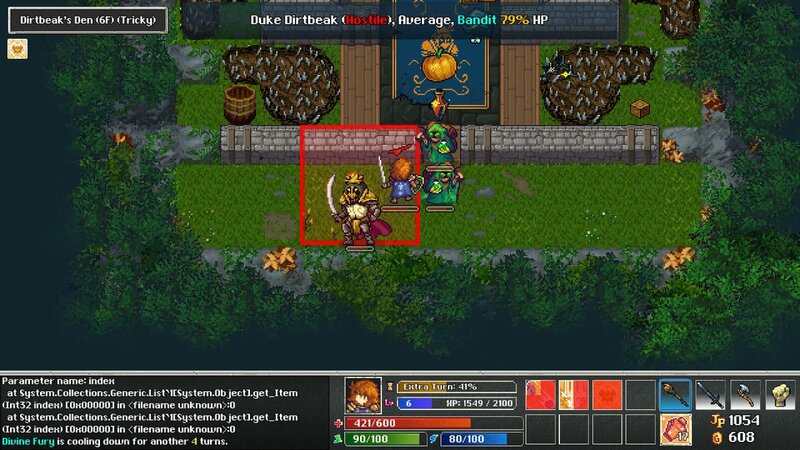 Developer Impact Gameworks has concocted their own indie rogue-like with Tangledeep, a half-way design point of being accessible, layered, and challenging. It wears its old school inspiration on its sleeve, looking just like a 16-bit adventure out of time. Prepare to be daunted by a thick and layered experience, one where I died a fair lot. 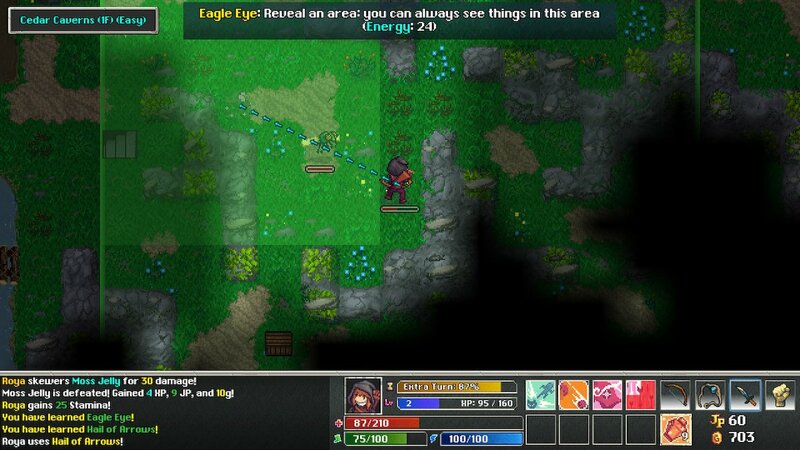 Foremost, if you’ve had any experience with contemporary dungeon crawlers like Pokémon Mystery Dungeon or Shiren the Wanderer, you’ll have a leg up in terms of how to play Tangeldeep. As an adventuring RPG class, you take “turns” traversing wild labyrinths to fight monsters, collect loot, complete menial missions, and grind experience points until you’re stacked. 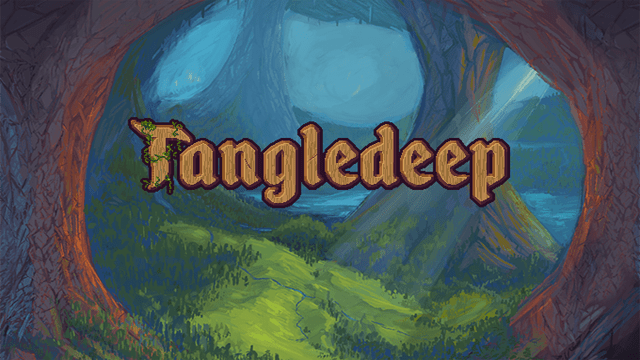 Is Tangledeep a state of mind or a state of being? It’s actually the name of the elongated labyrinth you’re off to explore the depths of. Storytelling is pretty unobtrusive, beginning with a basic call to adventure thanks to you having been blessed with the “Touch.” Sure, there are plenty of characters to talk to at your base camp of Riverstone, multiple side quests, and world-building lore to discover, but the greater narrative doesn’t smother you in the face. Most of my playtime was worrying about not dying on the next floor and staying alive as long as possible, with no time to be glib about any particular story. 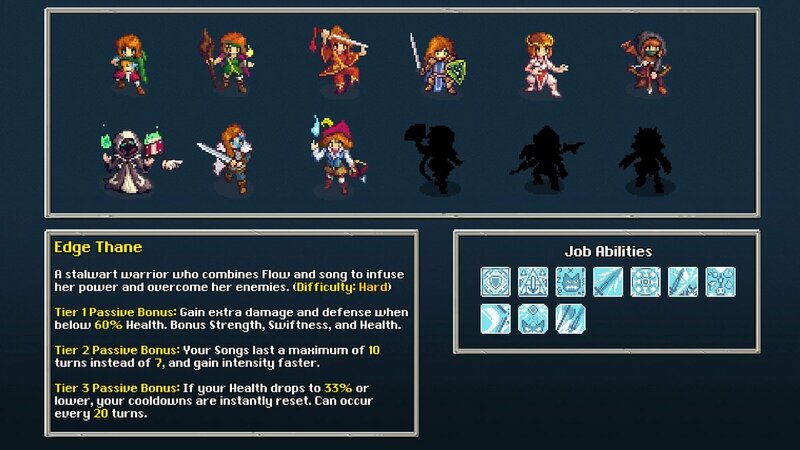 Notably, every character class you select from plays basically the same, but have their own unique strengths. 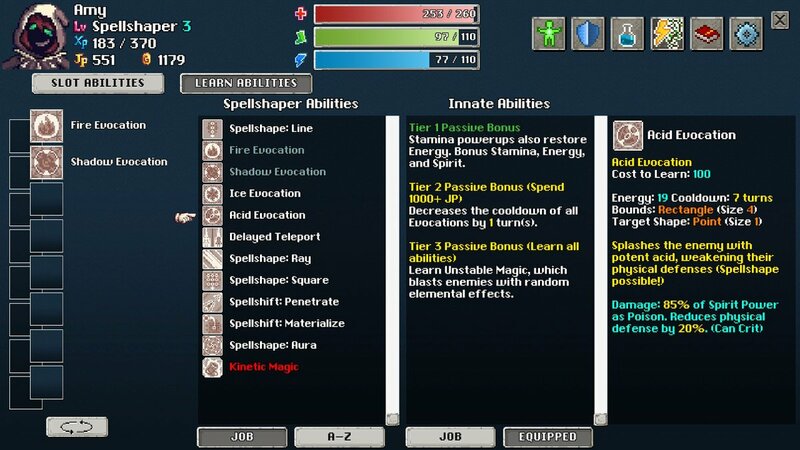 They become even more than the sum of their parts through two custom perks chosen at the start of your adventure, like lowering enemy aggression or increasing your experience gains. Class-wise, Paladins are a good “beginner” choice for their mix of magic and sword might, Spellshapers work well long-distance with the elements, and Hunters specialize in arrow-based abilities that can cover large spaces. With this much diversity, every run in Tangledeep will be subtly different. Alas, the grid-based combat seems simple at first, but can get really intense. Fighting against scores of monsters is not just a case of button mashing, but utilizing various items to damage, buff, and heal, and scouring for gear to increase my stats. If I ever needed a break from the intense battles, I found I could teleport out to town in a pinch, while other, further checkpoints are added as I progressed. On every floor of every dungeon, no matter what difficulty I selected, Tangledeep proves extremely dangerous. The virtue of patience is certainly needed. Even the most menial of monsters can knock you out if I was not careful, sometimes on the first dungeon floor after the tutorial. Tangledeep has a deadly mixture of a steep learning curve, backed up by intricate controls and a complex menu design. The whole enterprise is challenging, not so much in a cheap way, but in an addictive “gotta keep moving forward” way. Despite losing multiple characters, I took what I learned from my limited playtime (often up to an hour if I’m lucky) and got a little further with each new character. Just when I thought I was finally making progress, I’d get hit by an impenetrable floor full of difficult monsters to battle, only to get wiped out and sent back to town. The end results of a failed chartered course depends on the chosen difficulty. My chosen default simply means I lost half my on-hand money and gained experience. You can mitigate the pain if you train yourself to regularly store earned money and items in a vault for next time. But if I were a real masochist, permadeath kicked me back to the title screen with my save deleted. It goes to show how I (or we as a collective gamer species) have gotten soft through the years, weaned on softer game design and less punishment for our own follies. 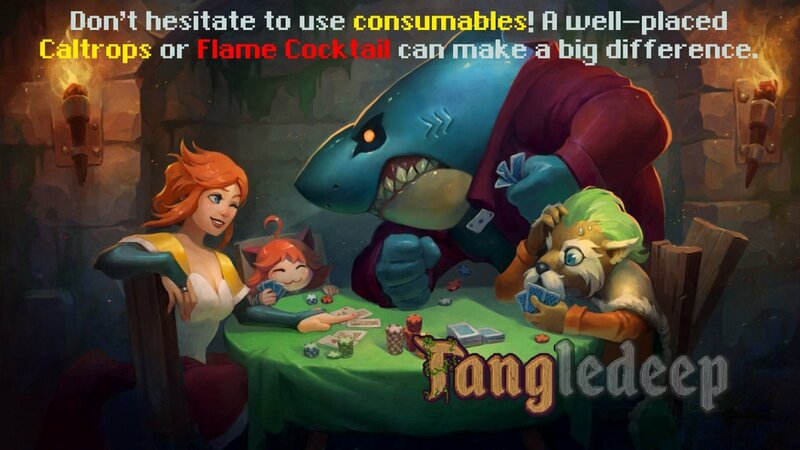 Tangledeep nails the presentation side. Visually, the 16-bit inspired pixel art nails the intended throwback look with lush backgrounds and charming character sprites. 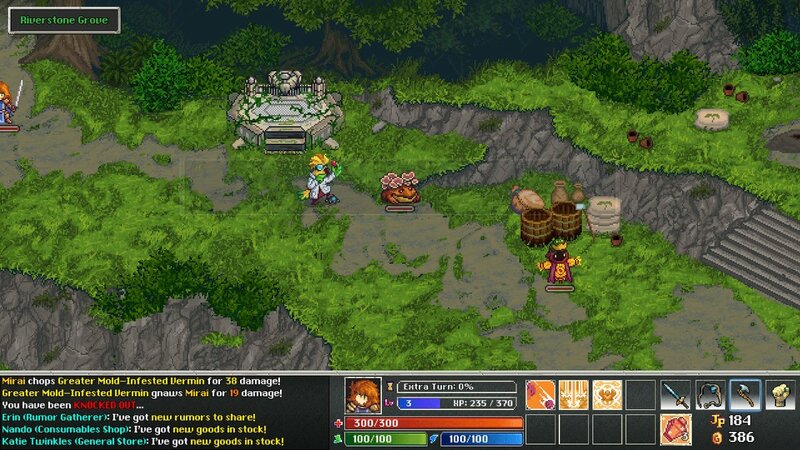 The soundtrack is one of the definite high points, echoing the musical direction of action RPG classic Secret of Mana by way of the unreleased Super NES CD add-on. Yes, the menus can be dense and text-heavy, but not impossible to navigate. Playing Tangledeep through Nintendo Switch’s portable mode is a perfect fit for Tangledeep‘s exploration and character-building. The road through Tangledeep wasn’t entirely smooth. Besides the challenging difficulty curve, I ran into a couple of game-halting bugs. In one case, I was unable to move or pass turns in a boss fight, and in another, my items wouldn’t display properly, rendering them inaccessible. Both of these were fixed by saving my game, quitting, and resuming. Worst case scenario, I encountered an unknown error that force-quit the game, and somehow I still had my progress intact. These and more can be potentially fixed by patch, but for now, they make the road into Tangledeep more uncertain and unreliable. 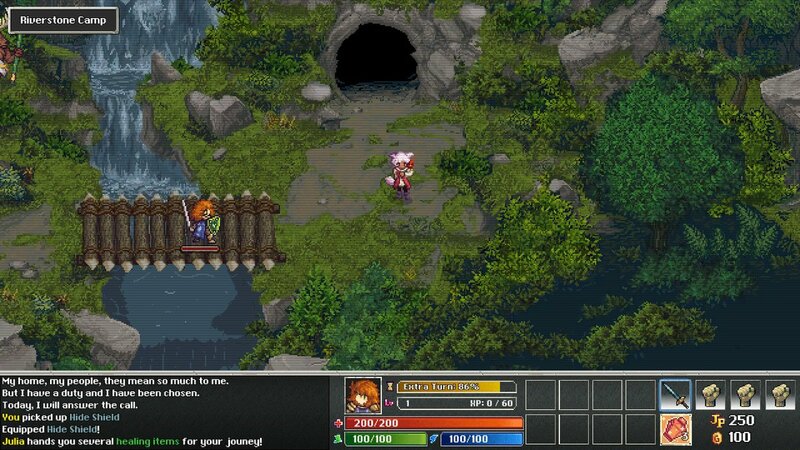 I can understand the appeal of a rogue-like such as Tangledeep. There’s a self-satisfying appeal that comes from mastering a myriad of systems and using that knowledge to overcome constant death and inch a little further in the quest. You won’t get far simply by button mashing the enemy. It’s a genre that involves careful planning and a close attention paid to the fundamentals. Hence my own ten hours of playtime getting used to them. 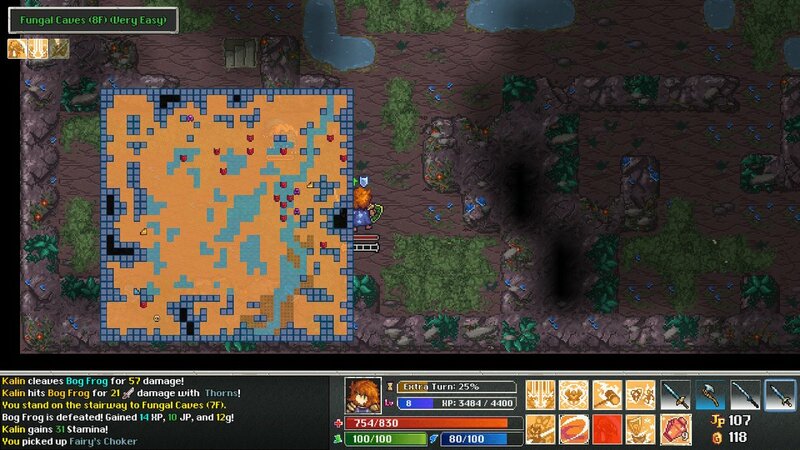 Compared to a Pokémon Mystery Dungeon, this rogue-like is much harder and less hand-holdy. Compared to other, recent rouge-likes that deconstructed the genre into something new, such as how Dead Cells blended the genre with side-scrolling platforming, Tangledeep is content to stay in the past. The few concessions there are to modern players are welcome, but it’s also very similar to PC rogue-likes of old. If you’re a veteran of this type of game design, it’ll be very comforting to you, and maybe that surprisingly high $20 price tag will be well worth its value. I noticeably did not see any cool poker games in my trip through Tangledeep. Ultimately, I found my time in Tangledeep to be engaging in spite of its perpetual challenge. There’s this cool feeling of discovery to be had as I inched my way through surprisingly intense, difficult dungeons full of discovery and daring do. Every playthrough with a new character subliminally trained me on how to progress even further, a useful playback loop when playing on Switch on the go. Only those unforeseen glitches can be game-killers. If you’ve got an itch for classic rogue-likes, Tangledeep will likely scratch it.